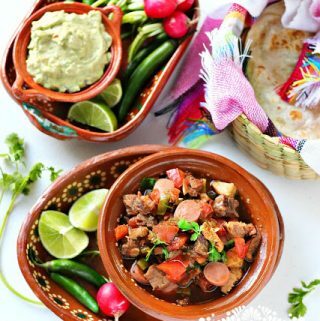 This dish, popular in the northern states of Mexico, is called “Discada”, since it is usually prepared on a large disc. Traditionally people used a tractor plow disc that had been adapted to cook with over an open fire. The disc had the holes sealed, handles attached, sometimes a border added to keep the contents from spilling, and a very fine sanding and a thorough cleaning are always done to be able to cook on it. It was also cured before cooking using the same procedure you’d use to cure a cast iron pan. This dish is a meat lover’s dream, and in Mexico, men are usually the ones in charge of cooking it. This recipe includes a varied selection of meats that are cooked together to form one of the most delicious treats you can imagine. Every single family has their own recipe, their own preference on the selection of cuts of meats, and even their favorite beer to add. Some also add canned tomato juice, while others add store-bought seasonings. Either way, the end result is always a meal to remember and prepare for the whole family. 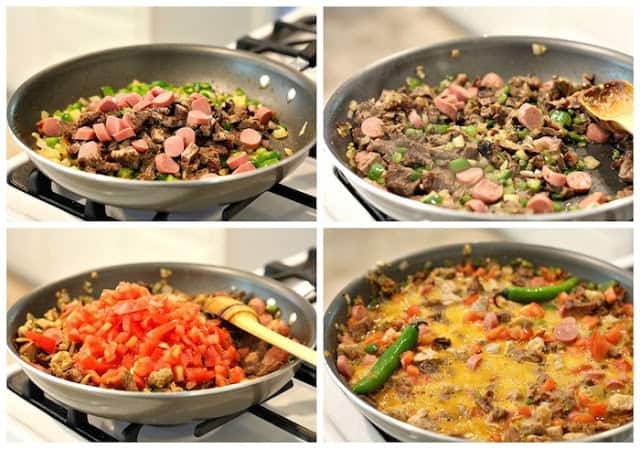 Next, in the same frying pan, cook the chorizo, about 5-6 minutes. Remove and place on the plate with the bacon. Now, add the pork meat and cook for about 7 minutes and then remove. Don’t worry if it doesn’t yet look well done, it will finish cooking with the rest of the ingredients. Add the beef to the frying pan and cook for 8 minutes. Remove and place with the other already cooked ingredients. Stir in the diced onion and peppers in the frying pan and cook for about 3 minutes. Add the already cooked meat and the diced tomatoes. Cook for about 10 minutes. Next, pour the beer, season with salt and pepper, and cover. Keep cooking for another 5 minutes until all the meats are soft and well cooked. Enjoy with a side dish of creamy guacamole, pinto beans, and a stack of warm flour tortillas. 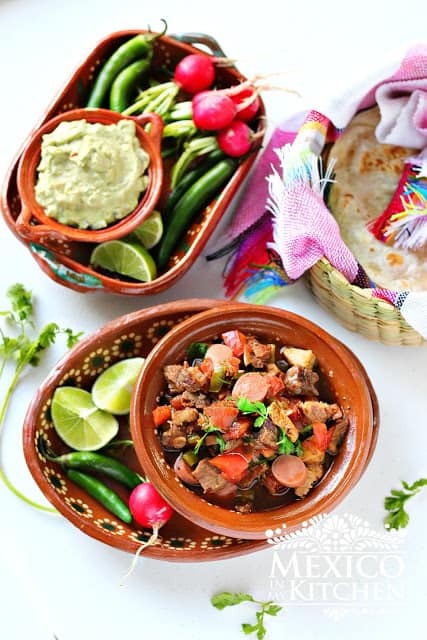 Discada Norteña Recipe, This recipe includes a varied selection of meats that are cooked together to form one of the most delicious treats you can imagine. Every single family has their own recipe, their own preference on the selection of cuts of meats, and even their favorite beer to add. In a large frying pan, heat the oil over medium-high heat. Once hot, add the bacon and cook until crispy. Remove and place on a plate to drain excess fat. Add the already cooked meat and the diced tomatoes. Cook for about 10 minutes (by this time, the tomatoes will start releasing their juices). Next, pour the beer, season with salt and pepper, and cover. Keep cooking for another 5 minutes until all the meats are soft and well cooked. 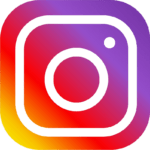 · I added ¾ lb. of grilled rib eye cut into small cubes. You can use that leftover meat from your grilling. It adds the smoky flavor that this dish usually has. · You can also add other types of sausages, including smoked ones. 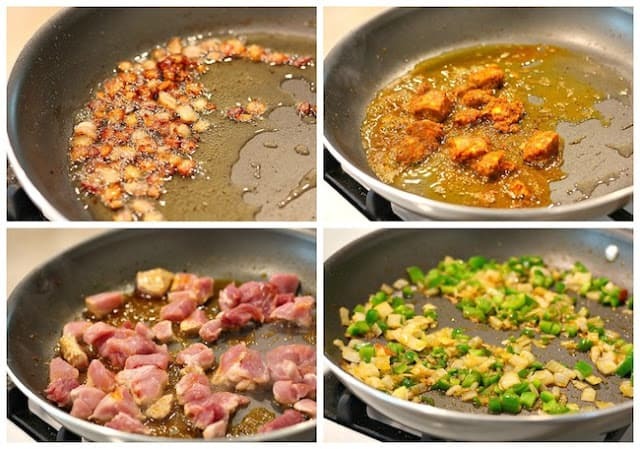 · Other types of seasonings are Mexican oregano and cumin. · You can use light beer or the beer of your choice. Thank you, Knorr® and Mirum Shopper for selecting me one more time as your Brand Ambassador! Check ours for future events at your local Walmart. Between now and August 31, select Walmarts in Los Angeles, Dallas, Houston, San Antonio, Phoenix, and Miami will have special in-store events to celebrate the back-to-school season. This looks amazing! I love your blog. Thanks for sharing! Thank you for this recipe, I am wondering how I can find the stove/pan these are cooked in with propane.